Imprisoned in an enchanted court in her enemy's kingdom, Feyre is free to roam but forbidden to escape. Her captor's body bears the scars of fighting, and his face is always masked - but his piercing stare draws her ever closer. As Feyre's feelings for Tamlin being to burn through every warning she's been told about his kind, an ancient, wicked shadow grows. 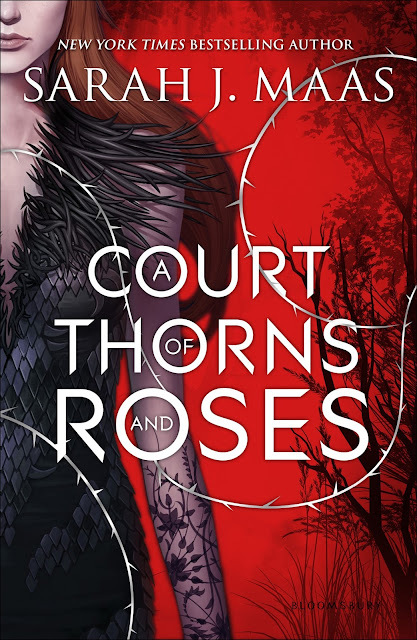 A Court of Thorns and Roses is a departure from the genres I usually favour, and the truth is, I really only picked it up because I'd seen so many BookTubers mention it on YouTube. This is the first book that I have read by Sarah J. Maas. The story is essentially a re-telling of Beauty and the Beast in a more fantastical mythical way, in a more adult way, given that there are numerous scenes of violence and of a sexual nature. I didn't find anything to really dislike about this book, aside from some of the truly evil characters that readers are supposed to hate. The world building and character development are both done to perfection, and even the secondary and minor characters are multi-dimensional. An enjoyable read that I would recommend to anyone over the age of fifteen who enjoys fantasy and faery tales.